Having a baby opens up a whole new and exciting world - but it can seem a dauntingly unfamiliar world too. Most of us know very little about pregnancy and babycare at first, and we quickly find that there is seldom a "right" or a "wrong" way of doing things. But there's often an easy way. This book aims to show what parents have found worked best and what makes life easiest. Organised in three sections, it offers a guide through pregnancy stage by stage, showing how to make it a happy, healthy time for the mother, giving her baby the best possible start to life. 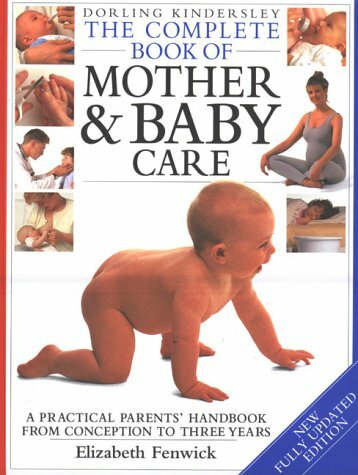 In over 800 colour photographs it shows the basics of babycare, offering practical solutions to common problems with reassuring advice. The book contains a photographic diary of one woman's pregnancy and an illustrated account of the first six weeks of one baby's life. View More In Pregnancy & Childbirth. If you have any questions about this product by DK, contact us by completing and submitting the form below. If you are looking for a specif part number, please include it with your message.